Bob McCown has announced his new co-hosts on Prime Time Sports. In one of the worst kept secrets in sports radio, Stephen Brunt will be co-hosting for 20 weeks in 2018. Brunt's done this before and he's as good as it gets. Funnily enough, when Stephen Brunt visited me recently, I asked him if he would ever return to Prime Time Sports. Here's what he told me. For the remaining weeks, Richard Deitsch is moving his family to Toronto to take the gig. Deitsch writes for Sports Illustrated and will make his debut in March. Damien Cox, McCown's last co-host, will appear elsewhere on The Fan 590, although they haven't announced specifics. I intend to have him over for a third time to learn more. As first heard on TMI (if you're not subscribed, what are you waiting for? ), AM640, now known as Global News Radio 640 Toronto, or GNR 640 for short, is making some significant changes to their weekday lineup. Mike Stafford will now host the morning show, along with Supriya Dwivedi. Matt Gurney will now host his own show from 9am to noon. You'll hear all of this starting Monday. 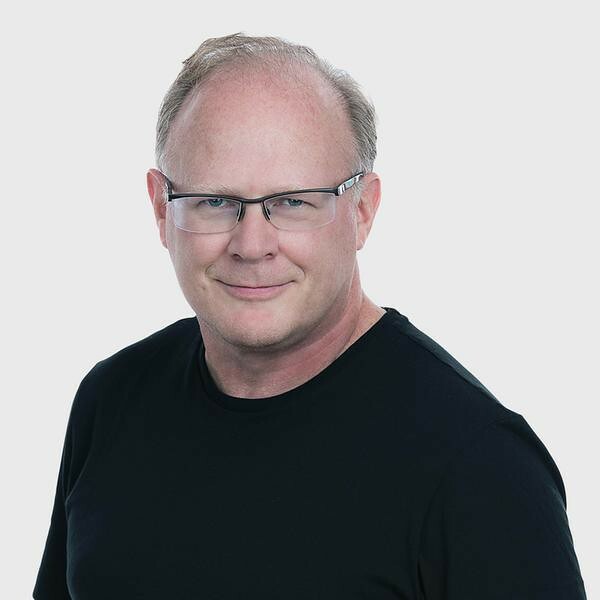 In this 299th episode, Mike chats with Global News Radio 640 Toronto morning show co-host Matt Gurney about his years at the National Post, working with Supriya Dwivedi at 640, recent changes at the station and millennials. Matt also ranks the Star Wars movies and discusses his favourite song of all-time. This episode is exactly 2:18:22. 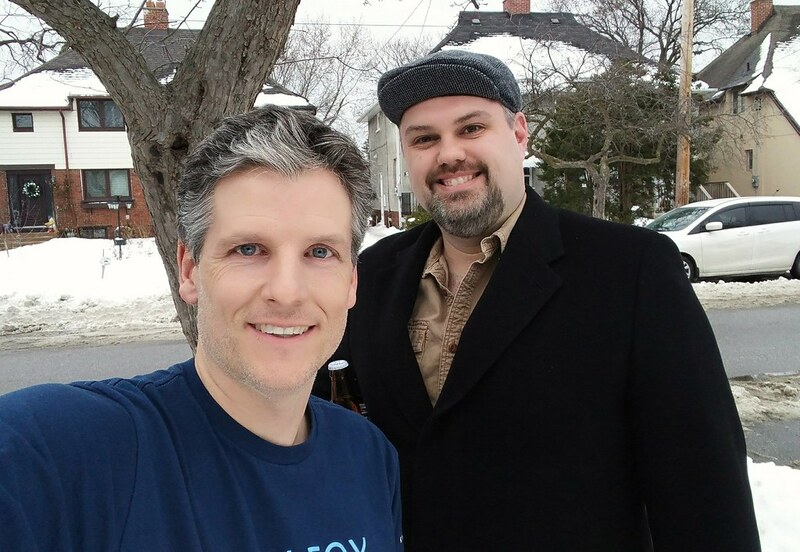 In this 298th episode, Mike chats with Fan 590 morning show co-host Elliott Price about calling Expos games, working in Montreal sports radio, rolling his own and getting the call to move to Toronto. This episode is exactly 2:00:18. The Fan is 25 years old today. The first all-sports radio station in the country, it was a big deal when 1430 flipped. We had a World Series champion baseball team and an exciting Stanley Cup contender. Many hosts and former hosts of The Fan 1430 / 590 have visited me to appear on my podcast. Here's a list for those interested in the history of the station. I suggest starting with Nelson Millman. I used to enjoy looking at Toronto's radio ratings. Then, I got fed up with the entire process. Who is carrying these PPM devices? Stations target a specific demographic, but regular folk like me can't access these figures. With so little data available, and so much skepticism, I just stopped looking. Having said all that, I thought it might be fun to look at some Toronto radio competitors to see who's winning the PPM battle in Toronto. Keep in mind, I only have the numbers for all adults 12 and over, but since we're looking at stations chasing the same (or similar) demo, it should give us an idea as to who's winning. These share percentages are for February 27, 2017 - May 28, 2017 and are courtesy of Numeris. Q107 is 40 years old today. The station signed on with Deodato's "Also sprach Zarathustra" back on May 22, 1977 and the first song played was "Hard Rock Town" by Murray McLauchlan. The first voice you heard belonged to John Rode. A tweet by @arc185 led me to this page that has a soundcheck of Q107's debut, but I didn't like the dead air at the beginning, so I edited the audio and am pleased to share it with you here. Just before grunge broke in the early 90s (thereby keeping me tuned to CFNY 102.1 constantly to hear as much Nirvana, Pearl Jam and Soundgarden as possible), I would try not to miss Q107's Top Ten at Ten. That's where I discovered Guns N' Roses and The Tragically Hip, after all. Happy 40th to the Mighty Q! Yesterday at 9:55am, Lou Schizas's Happy Capitalism segment aired on The Stafford Show with Mike Stafford on AM640 Toronto. 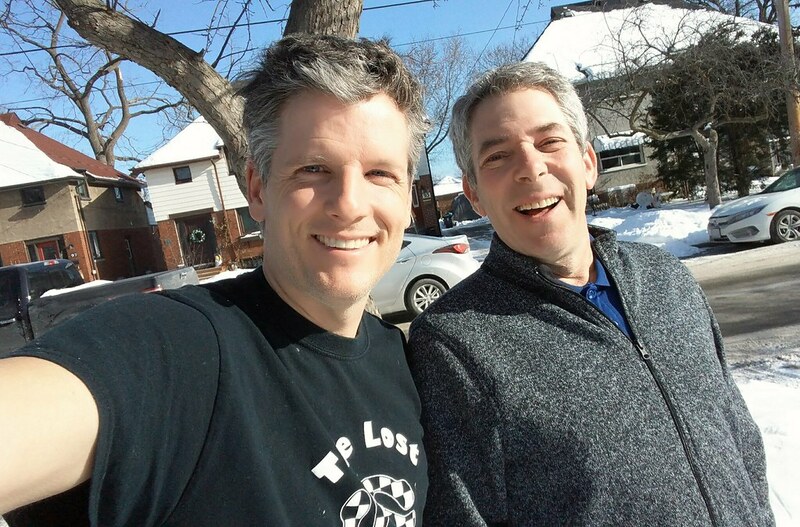 Both Lou and Mike have been on Toronto Mike'd, and they talked about my podcast for two and a half minutes. Here's a transcript of the conversation. Mike: Yeah, you were down in his basement yesterday? Lou: Have you been there? Mike: Yeah, a couple of years ago. Lou: Did you hit your head? Mike: Me? All five foot seven of me, no. Lou: The reason I went to do the podcast with Mike was I was number one curious about the means of production. And you know, for very little money he's out there producing his own interview series and that sort of thing and the sound quality is pretty good. Mike: It's excellent, and he's had yourself and Ron MacLean in there. He has a few gets he still wants to get but you're right, his setup is... my god, we spend as media companies a fortune to achieve the same kind of sound and distribution. Lou: Well, the distribution I think is different in that you can't tune him in, you have to download the product. Now I think there's probably some of the stuff I'm not really aware of that can get it on your smartphone as it's happening, but I don't know if that's the case. I know from myself the way I use radio, it's usually in the car, right? And if it's not available in the car, or I don't have the technology to get it in the car, it's less useful for me, but I thought it was pretty interesting from a technology aquisition point of view. Mike: Did you get a six pack of the Great Lakes? Lou: Was that because he didn't have the sponsorship at that time? Mike: It was a good time. It was good to listen to. I'm going to listen to the rest when I get home. Lou: Ok, well any pointers, send them my way. Back with you tomorrow. Happy Capitalism.